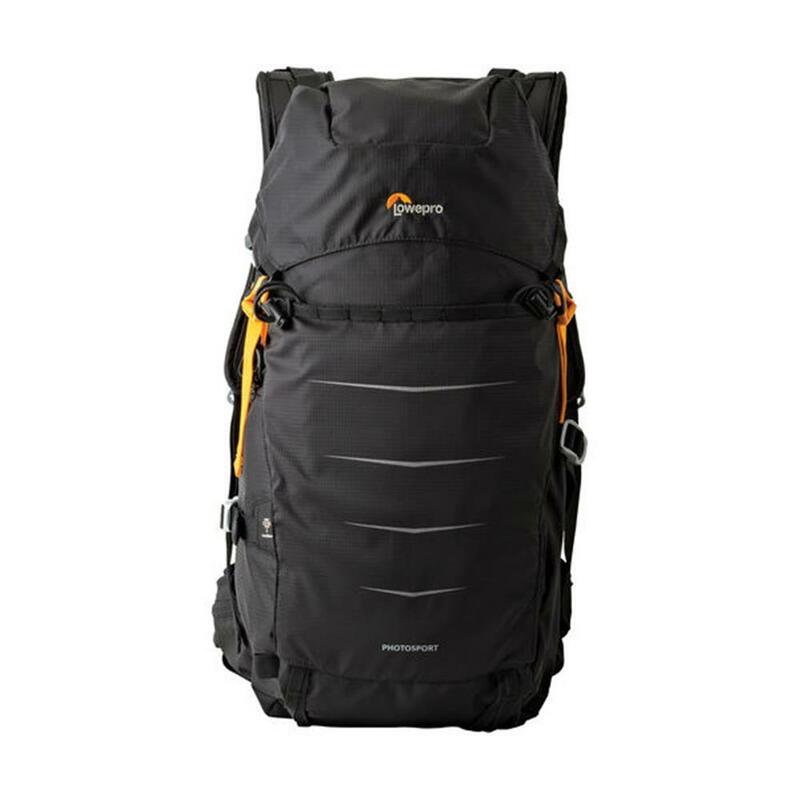 Ultra-light action sport camera backpack designed to fit a mirrorless or compact DSLR with attached lens (such as Sony A7II with 24-70mm or Canon Rebel T5i with 18-135mm f/3.5-5.6) plus flash or adapter or extra lens, personal gear and space for a 2-liter hydration reservoir (not included). 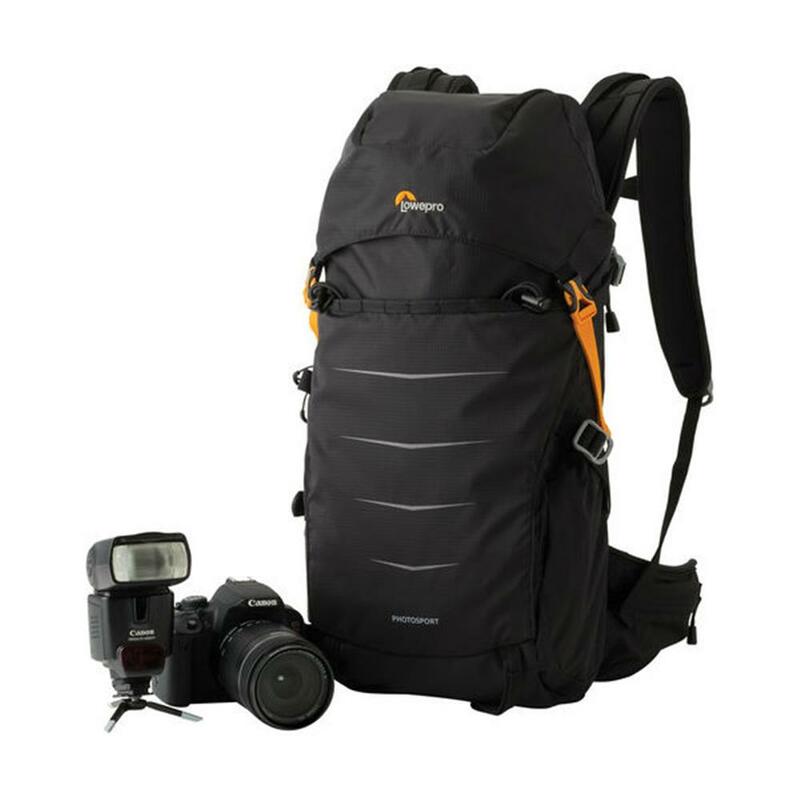 Photo Sport BP 200 II AW is designed to protect your photo gear in the UltraCinch chamber, and all of your journey's essentials in the open space. 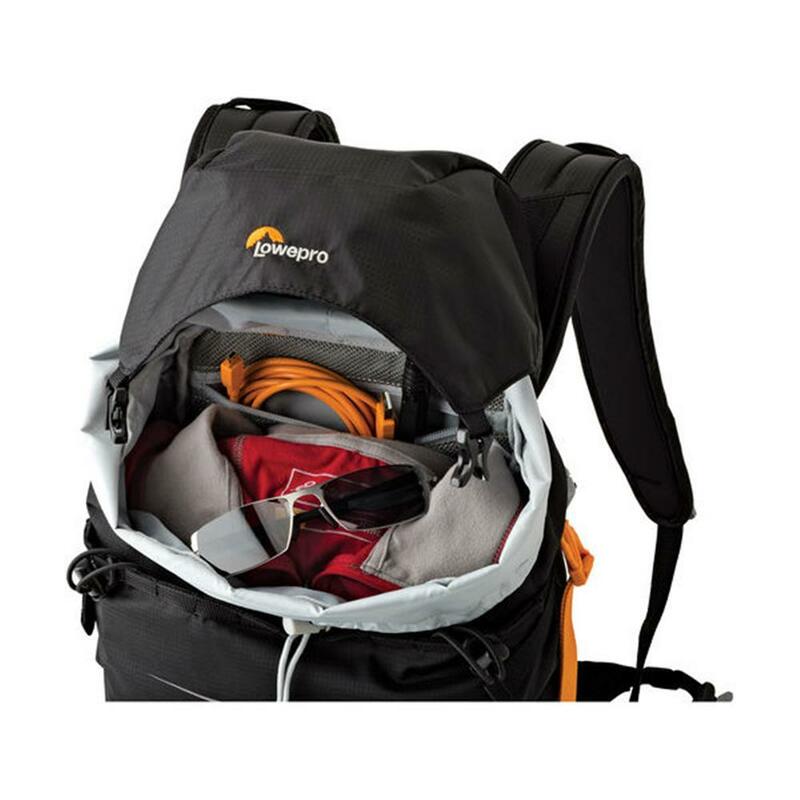 Keep your camera gear secure and in place while you hike, bike, climb, snowboard or run. Our new UltraCinch design features a custom pull-tab to cinch and tighten photo gear space in one swift action for bounce-free protection. Feel good as you move with your pack; the ActivZone harness is built to provide targeted comfort for active shooters. Protect your gear from the elements. A built-in All Weather AW Cover safeguards photo and personal gear from rain, snow, dust and sand. A roomy, toploading compartment is built to store a day's worth of creature comforts. 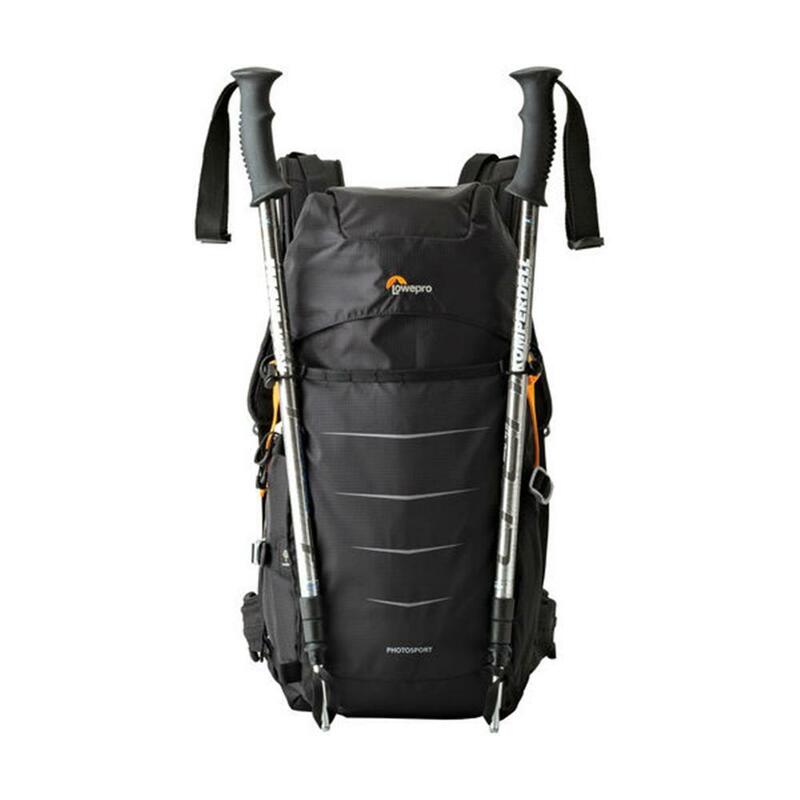 Multiple attachment points allow you to secure extra gear to the pack, such as a tripod or trekking poles. 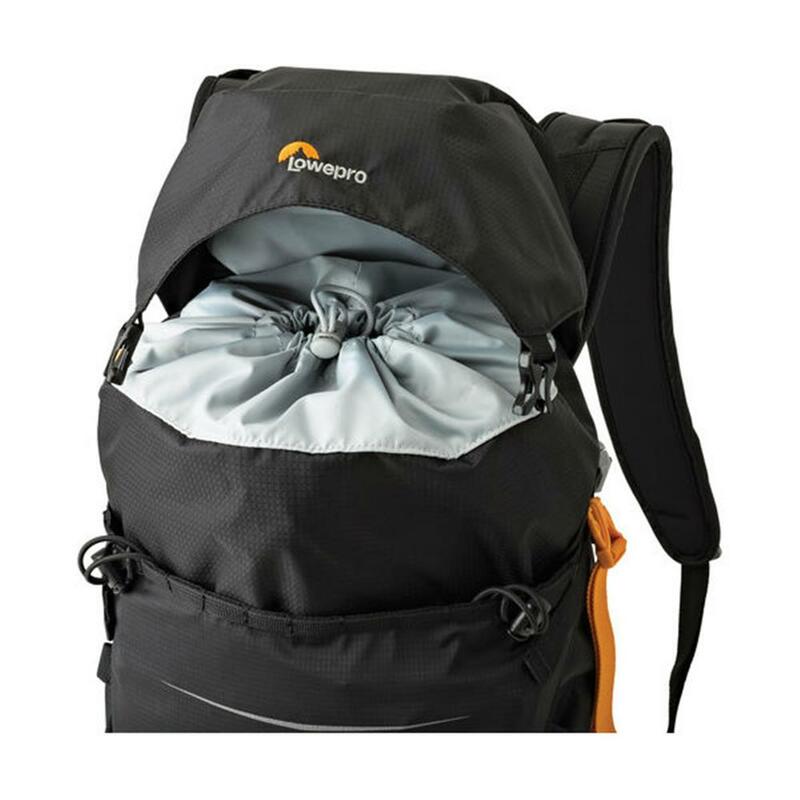 The front pocket accommodates a bike helmet, light jacket, gloves, etc. 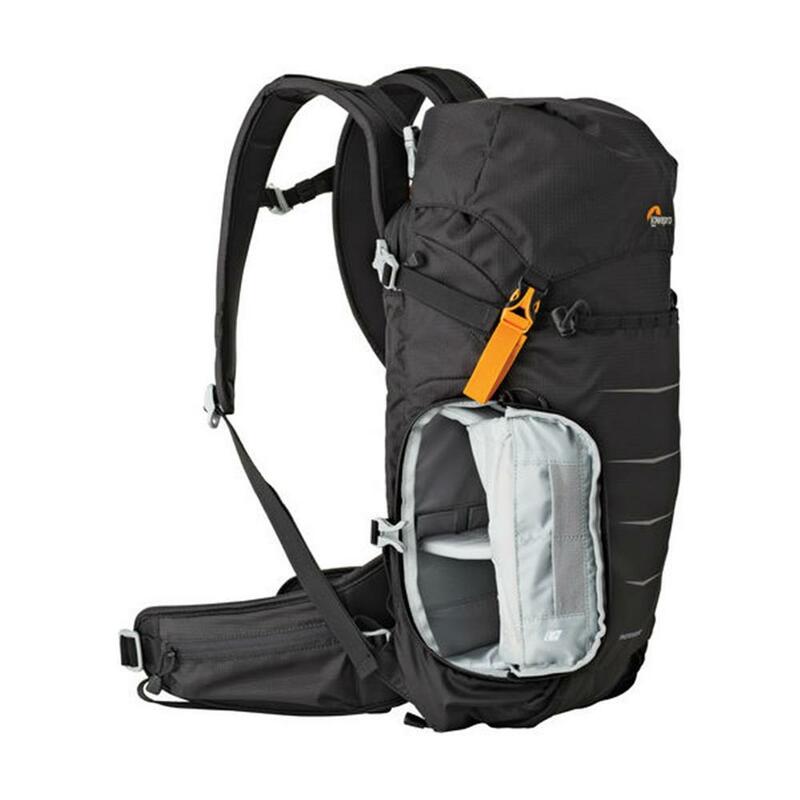 A stabilizing waist strap includes two zippered side pockets for quick grab items. 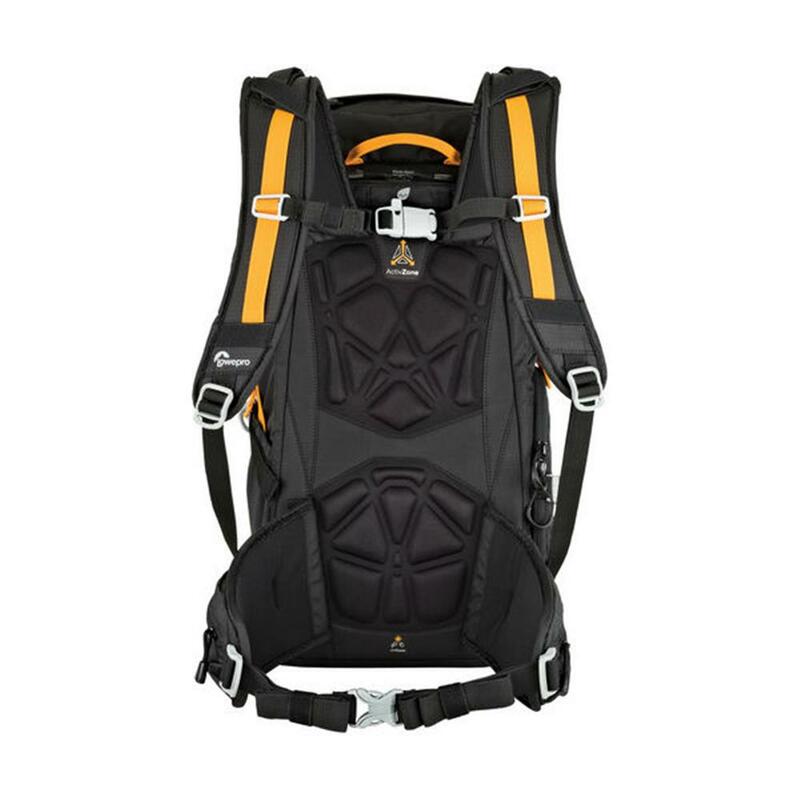 Get extra comfort and a custom fit with padded waistbelt and adjustable shoulder straps and sternum strap. 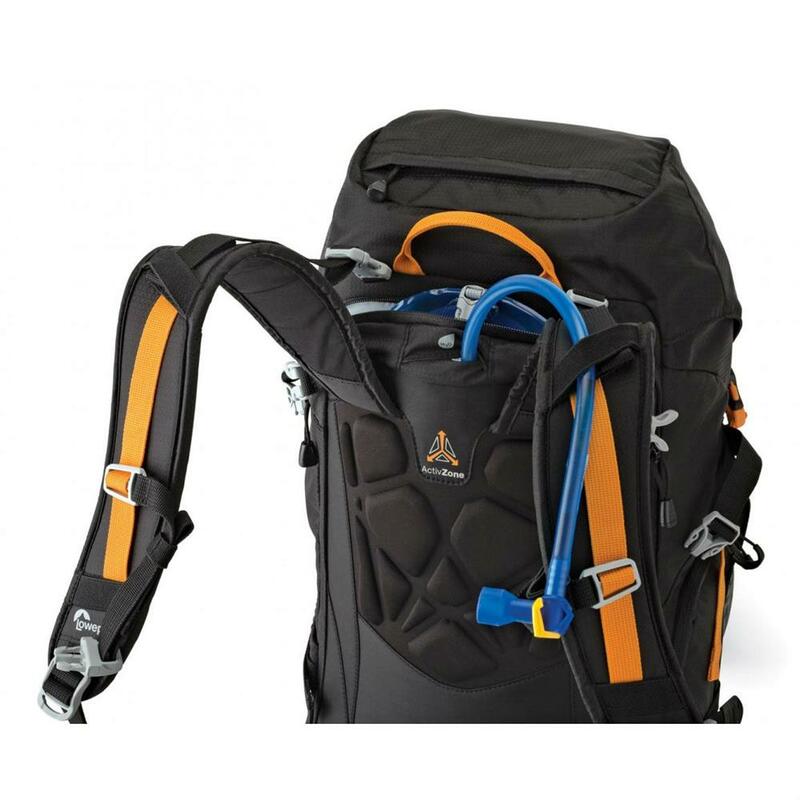 Keep hydrated with a 2-liter Camelbak or Platypus reservoir (not included) placed in the dedicated hydration pocket. 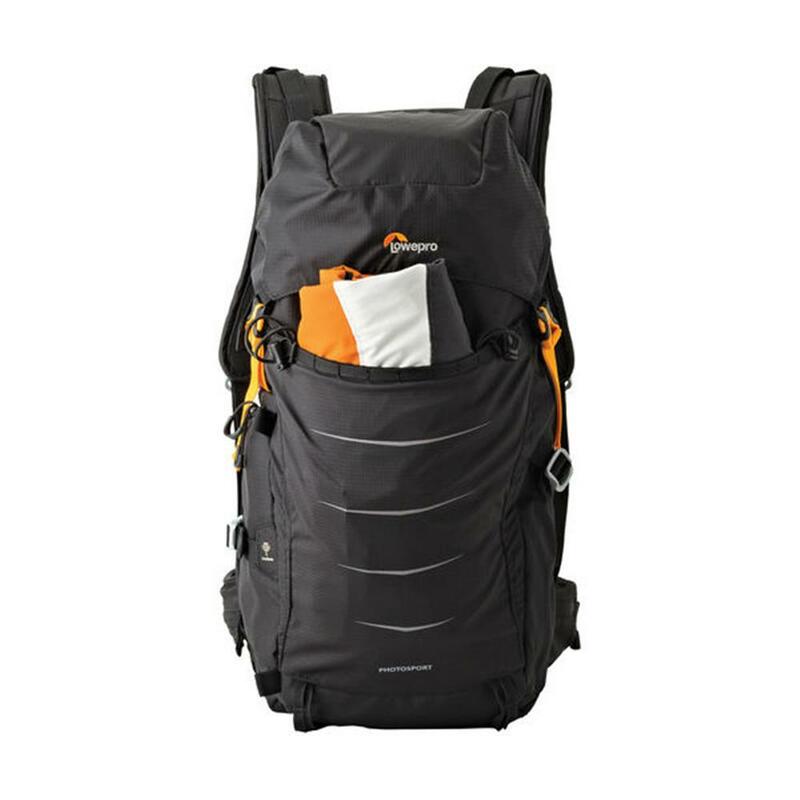 It includes quick-release buckles and internal routing for easy access. 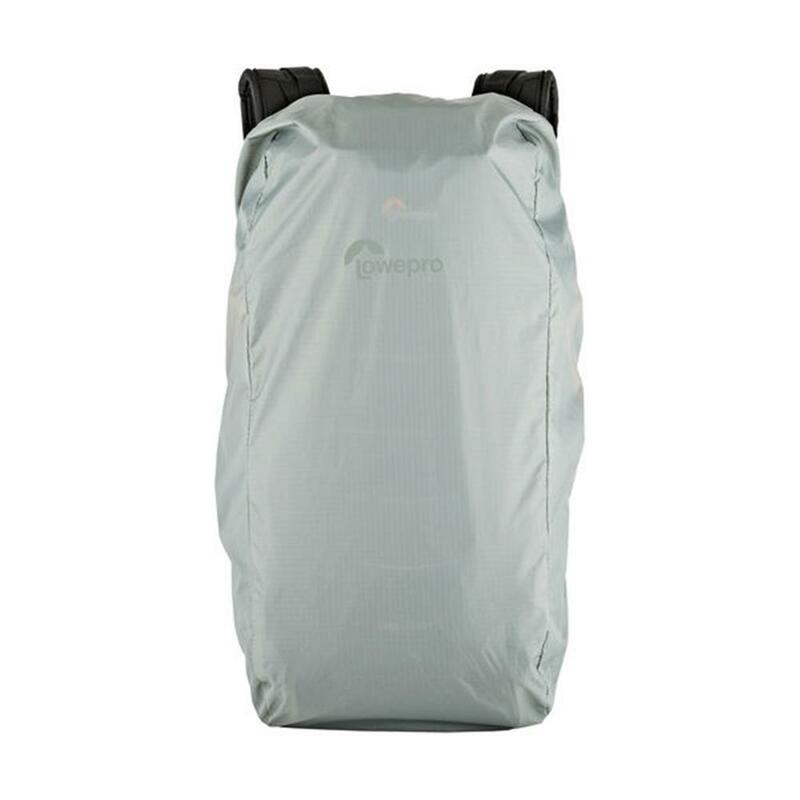 Lightweight and resilient tech fabrics include ultra-tear-strength coating for high performance.